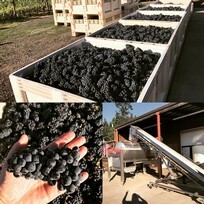 With sparkling wines comprising 40 percent of their total production, Kramer Vineyards toasts the largest harvest in its 30-year history with a record-breaking offering of sparkling wine. 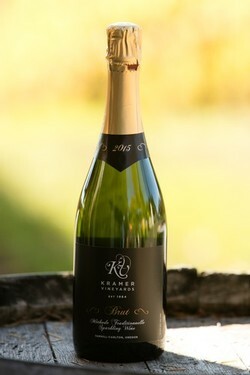 To further celebrate, the family owned winery will offer 14 sparkling wine releases. 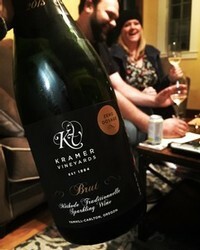 Dedicated to sharing the delight of its fizzy wines while quenching the thirst of a growing sparkling wine demographic, Kramer Vineyards opened a sparkling tasting room in Carlton in 2013 and soon started its own sparkling wine club. 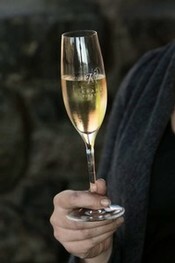 The winery has also been featured in many of Oregon’s sparkling wine events including Bubbles Fest. To celebrate, Kramer Vineyards is releasing a new collection of traditional method sparkling wines from its estate vineyard in the Yamhill-Carlton AVA. 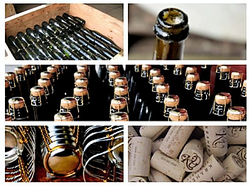 These wines are all bottle fermented, and composed of Pinot Noir, Chardonnay, and/or Pinot Meunier. If you would like more information about this topic, please contact Kim Kramer at (503) 662-4545 or email at kim@kramervineyards.com. Dosage is a finishing syrup added to most champagnes and sparkling wines after the second fermentation in the bottle. Adding very small amounts of sugar can help to balance high acid wines, emphasize fruit, and improve texture. For one of the best explanations on this subject, see A Seasoning for Champagne, by Peter Liem. How much dosage do we use? In the cellar, the first introduction to our sparkling wines is often a few months after it's been bottled, to see how the second fizz-creating fermentation is coming along. Tasting a sparkling wine for the first time in this raw state, dry, and dancing on cells of suspended yeast, is always a thrill. Once the fermentation is complete, we begin to assess the necessity of dosage, and prepare a range of wines with sugar levels up to 10 grams per liter. 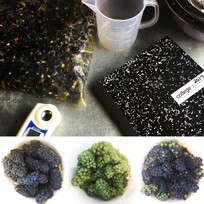 In our history of making sparkling wines, the dosage levels have ranged from 3 to 8 grams per liter. However, these preferences aren't always clear cut, and we often have a fondness for the crisp, tart, and very dry wines without dosage as well. The low to zero dosage movement is a relatively recent trend, and more commonly found among grower-producers than big sparkling houses. While we certainly identify with the grower model, our interest in the style is rooted the idea that with a great fruit source, followed by good fermentation and cellar practices, that perhaps the best course of action is to take none, and let the wine speak for itself.